A good business idea is one that fills a gap in the market. For years, the three partners behind A Million Senses, a brand-new social startup that organizes package holiday deals for families with autistic children, had been keenly aware of one such gap. Having worked in the special education sector, all three had firsthand experience regarding the various difficulties that families wishing to enjoy a vacation together had to face. “Every year we witnessed the agony across the faces of parents of children with low functioning autism [Editor’s note: The spectrum of autism covers a range of disorders from classic autism to Asperger’s syndrome] when the summer holidays were approaching as it meant treatment and educational facilities would soon close,” AMS founding partner, Angela Menni, told Kathimerini. Essentially, A Million Senses makes it easier for families to enjoy a carefree and relaxing holiday. 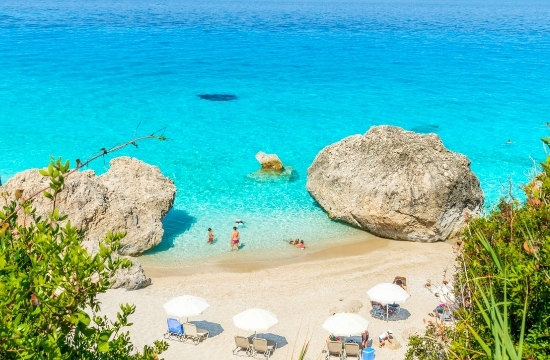 The startup, which was founded this year, is currently promoting two pilot deals for six nights at hotels in Corfu and Monemvasia. Instructions, adds Menni, are straightforward but crucial. Besides accommodation, the program includes three-hour activities twice a day for the children, led by a special team of occupational therapists, speech therapists, social workers and psychologists specializing in the autism spectrum. The support team, as it is known, is available to families on a 24-hour basis.